Billionaire Elon Musk lost about $165 million Friday morning. At least on paper. Shares of his solar panel company SolarCity plunged after it reported a loss that was larger than Wall Street had expected. Worse, the company significantly slashed its growth forecasts for next year and beyond. 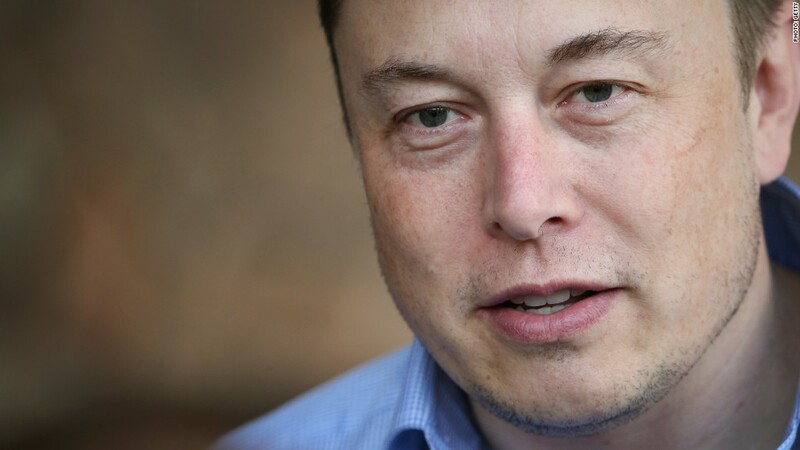 Musk is the CEO of Tesla Motors (TSLA) and SpaceX. But he is also the chairman and largest shareholder in SolarCity (SCTY), which is run by his cousins. Shares plunged 21% in early trading after reporting a $204 million loss Thursday after the bell. But the bigger concern for shareholders was SolarCity's announcement that it would reduce its growth plans to save money. A federal investment tax credit for solar panel providers is due to expire at the end of 2016, and Solar City said that is prompting the company to focus more on costs rather than its past growth targets. SolarCity's shares were already down nearly 30% for the year before the latest tumble. Hedge fund manager and short seller Jim Chanos revealed earlier this year he was betting against SolarCity stock. He called the company a subprime lender and said it is "really nothing more than a consumer finance company -- and it's not a particularly good one." Musk has been having a bad stretch for his investments. Shares of Tesla are down 14% in the last month after Consumer Reports yanked the "Top Pick" designation from Tesla's Model S.